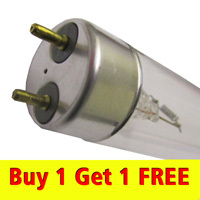 Powerful double-ended pond UVC bulb which zaps away single cell green algae and is suitable for use with the Oasis/Lotus 100 UVC. 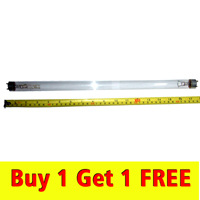 This single-ended UV bulb fits many popular filters such as the Hozelock Bioforce 8000, Oase Filtoclear 6/11/15, Oase Filtral, and the PondXpert EasyFilter 12000. 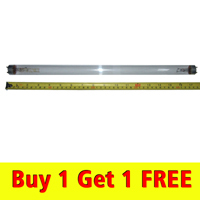 Special offer replacement UV bulb for Laguna Pressure-Flo 2500 and 5000 filters. 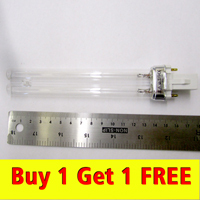 This popular single-ended UVC bulb fits the Hozelock EasyClear 9000 plus the latest models of the Hozelock Bioforce 12000 (mid-2012 serial numbers 16 10 01 or higher). This 13w bulb has a unique 'double-fin' appearance at the base of the bulb and is suitable for the Fish Mate 15000 pressure filter. It is also used in the Hozelock Bioforce 12000 produced before mid-2012 (serial number 16 09 30 or lower). 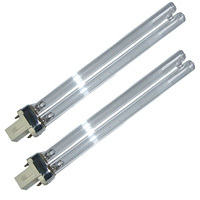 Quality double-ended UVC light bulb that fits many filters and UV unit, including the Fish Mate Gravity 15/30 and TMC 15. Fits Oasis/Lotus Green2Clean 12000, Hozelock Ecopower+ 10000 and others. 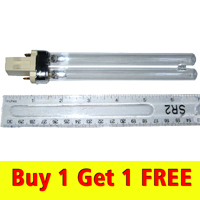 18 watt double-ended UVC bulb that is suitable for the Oasis/Lotus Green2Clean 18000 and Clear Pond 18. 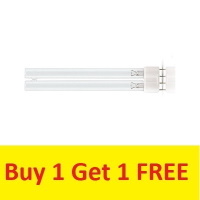 Popular replacement bulb for pond UVC units and filters which fits the Oase Filtomatic and Bitron 18, Blagdon Midipond 18 and PondXpert EasyFilter 20,000, as well as the new Bioforce Revolution 6000. Fits the Laguna 8000 Pressure-Flo filter. 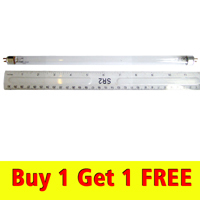 Please note that Laguna do not supply a 20w UVC bulb anymore as it has been replaced by this 18w version. 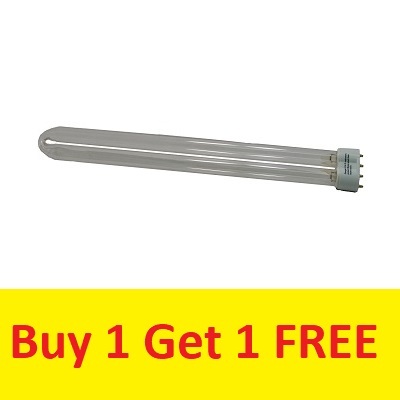 This is a popular replacement UV bulb that fits many pond filters and UV units such as the new Bioforce Revolution 9000, Blagdon Midipond 14000, Fish Mate 30000 Pressure Filter and PondXpert Easyfilter 30000.